Printers are one of the easiest devices to set up and configure. With some printers, you can set up your printer by simply connecting the printer to your PC and a power supply. Other printers require a few more steps. Free the printer from its box. Also, remove all the various pieces of tape and evil Styrofoam. Connect the printer’s power cable. Plug one end into the printer and the other into the nearest wall outlet or power strip. No printer comes with this cable, so you have to buy the printer cable separately. Get a USB cable if the printer is USB-happy. Otherwise, buy a standard, bidirectional PC printer cable. Read the printer’s instruction sheet. See whether you need to install software before turning the printer on. If you need to, install your printer’s software on your PC. Your printer’s instruction sheet should explain how to install this software. Turn the printer on by pressing its power button. 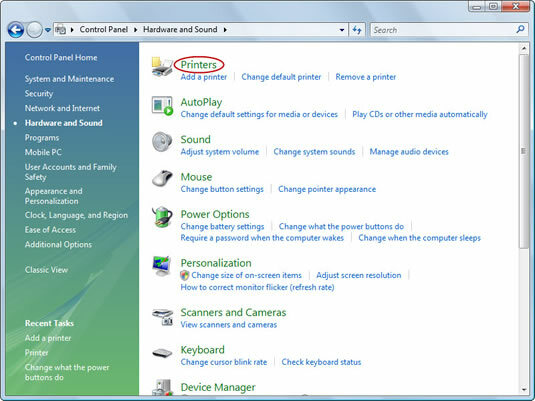 A USB printer is instantly recognized and configured by Windows. Life is good. Printers using the traditional printer cable, or network printers, require more work. 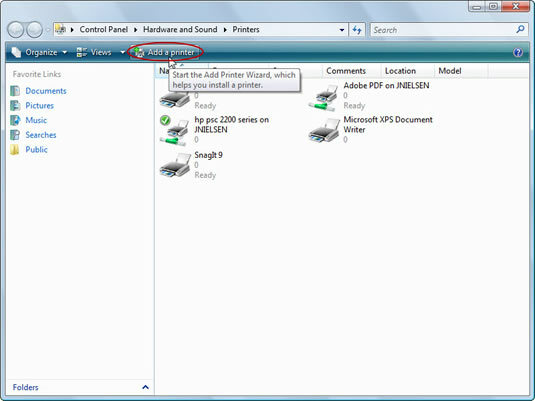 If you have a non-USB printer, click the Add a Printer toolbar button in the Printers window. The Add Printer Wizard starts and you just have to follow its directions to locate and set up your printer. Most printers, like computers, can now be left on all the time. The printer automatically slips into a low-power sleep mode when it’s no longer needed. However, if you don’t print often (at least every day), it’s perfectly fine to turn off your printer.